High quality dye-sublimation paper. 110 gsm. Full colour transfer to a range of blank products. 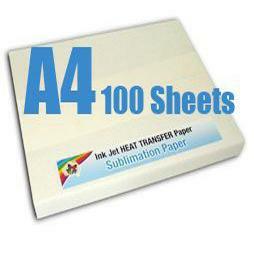 Ideal for use in Epson and Ricoh sublimation printers. Hi, is this suitable for 100% cotton t-shirts.